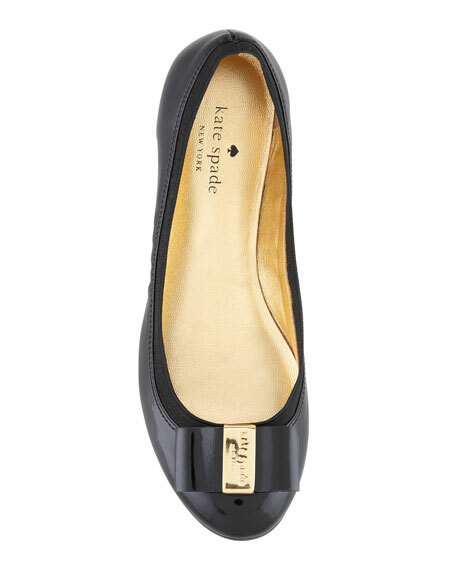 Finish your casual looks in classic style with the kate spade new york tock ballerina flat. 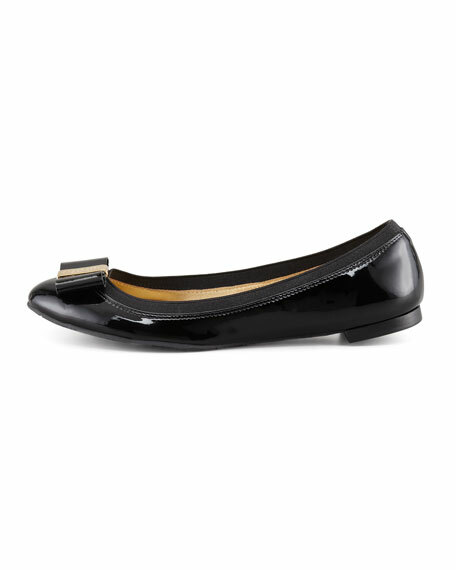 Patent leather upper with stretch trim. Bow with golden logo plate atop round toe. "tock" is made in Brazil. For in-store inquiries, use sku #196640.